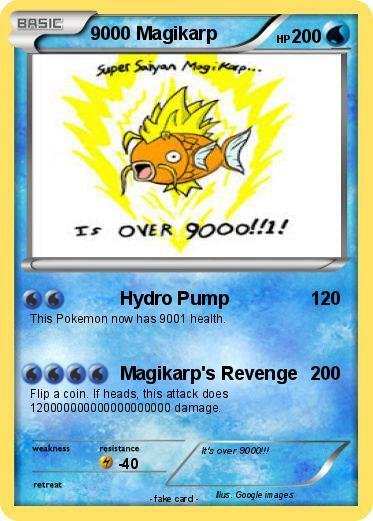 This Pokemon now has 9001 health. Flip a coin. If heads, this attack does 120000000000000000000 damage. Comments : It's over 9000!! !